All Photos were taken by Patricia Fiol, unless stated otherwise. Marga, a Dutch photographer currently based in Berlin, is someone you really won't forget once you meet her. Apart from her calm and loving personality, there are 2 more things that stand out - it's her 'Bike Shop' and her great photographs which put a smile on anyone's face. Marga's work and her general interest in people made her gain 2 more families in her life. One is the solid circle of friends in Berlin who share very similar interests, including her boyfriend Niels who she's been together with for 15 years. Her other family is the circle of people at the markets she frequently attends. The Interview took place at the little hidden paradise called PrinzessinnenGaerten, and there's no surprise that many people stopped by for a little chit-chat once they spotted her. I'd call her the "Gentle & Humble Diva". I'm passionate about people in general - watching them how they act and react to daily things in life. I could stare at people for hours. If I had a wish I'd wish to be invisible, so I can do that all the time. I also love the smell of fresh cut grass and I'm quite mesmerised by people walking around in weird suits - like animal or super-hero costumes. I've always loved art. I was always drawing things that I could constantly see. I was never good at creating abstract art. When I saw something beautiful I always had the urge to document it - looking at the details and putting it down on paper. That's when I joined the Minerva Art Academy in Groningen. I enjoyed drawing but I knew that it wasn't exactly what I was looking for, so when I started photography classes, I instantly switched. I began to observe and catch special moments in life and I knew that I entered my comfort zone. I started photography in high school, where I discovered my fascination for the Dark Room. I fell in love with the whole process of photo development and the techniques used in this room. I lived in Rotterdam for 10 years, where I was involved in a lot of social projects and workshops related to photography. Now I live in Berlin since 2012. The reason why I ended up in Rotterdam is because I lived in the south of the Netherlands and my boyfriend lived in the north, so we decided to meet in the middle. Street Photography started in Berlin. I had the urge to just go somewhere where I'd spend most of my time just with my camera. So I did that. I saved some money, packed my bag, my camera and took myself to Berlin. I gave myself a challenge to spend 3 months in this city and do nothing else but photography. I went on the streets of Berlin not knowing what I was supposed to do, so I allowed it to free-flow. I photographed whatever I saw and that's how Street Photography came about. You need to go to the streets with a complete empty head - that's when you'll see those moments. When you're stressed out, thinking about something else, you just won't see it. If you relax, focus, take a closer look, you'll just see it everywhere. Sometimes it happens right then and there, that's why I make sure my camera is always close. Other times I see a great scenery and kind of predict that something will happen there, so i just wait till it happens - If I wait long enough it always does. It doesn't matter what kind of photography I do as long as it's in my style. I did a wedding photo-shoot not so long ago and I was able to do it my way, so that was a real pleasure. To know a little more about me, I have to go back to my childhood. I grew up in a very small village - more specifically on a farm - so I was always playing outside with my sister and my friends. Plenty of greenery and animals around us all the time. That's a part of me that I will always carry with me - my love for the outside. If I stay in for a whole day, I just get the itch to go out. That's why I love coming back to this Cafe (PrinzessinnenGaerten), which turns into a Flee-market every other Sunday, so you'll always find me here (during Spring/Summer - it's closed during Winter). I have amazing memories from my childhood. I remember that most of the kids wanted to play at our house, because we had the farm so lots of open space. My parents worked on the farm, which means that they were always at home, so that was great. I left the farm when I went to the Art School, at the age of 18. This lifestyle has had a big influence on the way I live today. Our current apartment is actually without a TV, which has turned our home into a more peaceful space. I'm happy not to be a part of the constant brainwashing advertising that's on TV. When I lived in Rotterdam I loved how the city was so multicultural. 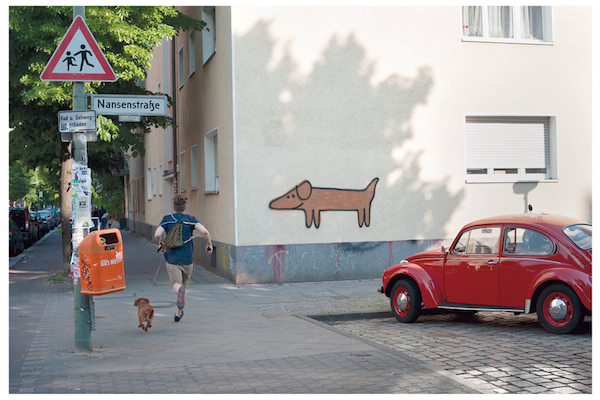 That's why I love living in Neukölln, because the vibe is very similar and I enjoy that. I'm quite a relaxed person. I hate to rush somewhere and I hate being late. I avoid arguments and confrontations. I like peacefulness and I usually arrive everywhere a little early so I get to soak in the environment and take my time to be aware. I'm taking part in this cool project - GOETHE - where I have to contribute 1 street photo per week for a whole year. It's a nice challenge! The time I decided to go to Berlin and spend 3 months just concentrating on photography. 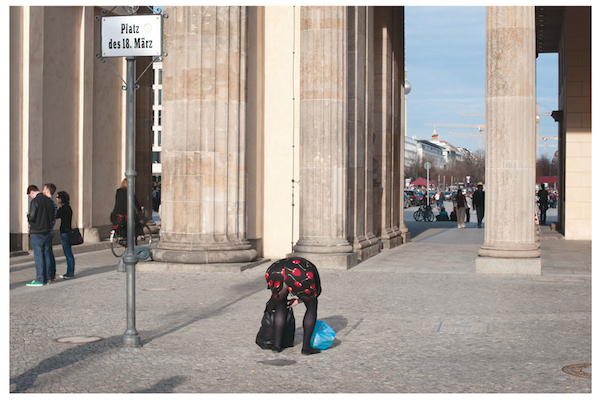 The first morning I woke up in Berlin, was amazing - knowing that it was just me, the camera and the streets of Berlin. It's got to be beer - specifically Hefeweizen - it's the perfect drink for Flee-Market days. My Bike. It belonged to my grandfather who used it to collect potatoes. It was at our farm as long as I remember. My first black & white photos were actually of that bike. My dad fixed the bike and was thinking of selling it. I was already selling my photographs, so I thought that the 2 would be a perfect match. I took the bike and created my own 'Bike Shop'. I love it because it carries a lot of personal history, but also for the fact that it simply stands out. I love to travel. I of course dream about NYC, because as a street photographer you've just got to go there at least once. That would be my next dream project - to photograph the streets of NYC for 3 months. My friend from the Netherlands, who is also a photographer, and I have always wanted to go on a road trip. We've talked about it so many times, so I'm sure it will happen at some point. It took me a while to figure out what exactly is my style and to be comfortable with what I'm doing. Everything takes time, and even though this has been said many time before, it has to be said over and over again. The most important thing you can do is to just 'Keep Going'. You'll eventually get there, but you can't stop during those times of confusion. You have to go through many phases until you actually reach your goal. People usually think that those phases are there to give them a sign to stop, but that's obviously not true. Stick to what you love doing, but keep being creative and play around with different ideas. What's also extremely important is to connect with other photographers (or whatever your field of passion is). Be active with people who are passionate about the same thing and take part in events. Not owning a lot of things. Letting go of the material world. I want to know that I can pack one bag, take my bike and be able to leave. The rest (materialistically speaking) does not matter. Absolutely No Spam Coming your Way!